Clear Blue’s Smart Off-Grid technology propels off-grid lighting to an entirely new level of performance and reliability. We have taken large grid strategies and reliability expectations and simplified them to deliver power where it is needed, eliminating all the costs associated with distribution. Clear Blue’s Smart Off-Grid system includes our hybrid controller, an integrated communications network and the Illumience Cloud software for full remote control and management over the Internet. 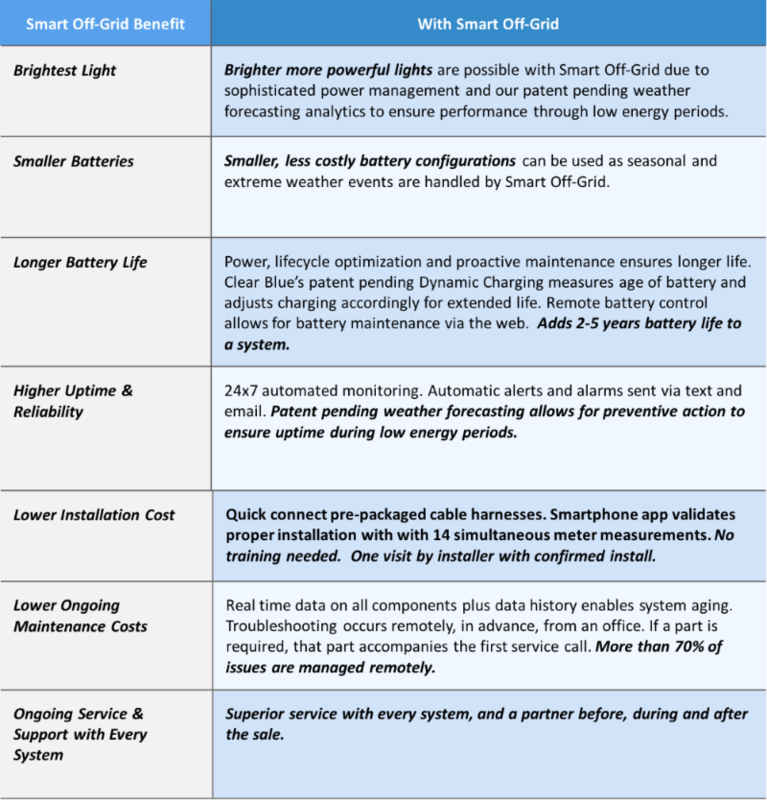 With its unique capability to remotely control and manage all aspects of an off-grid system over the Internet, Clear Blue slashes maintenance time and costs. 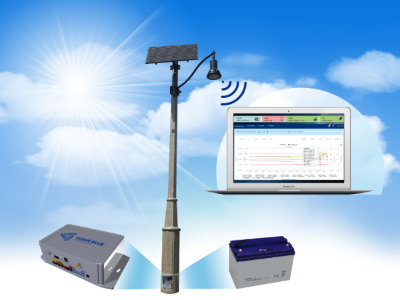 While other systems may offer a level of monitoring via local WiFi or physical connection, Clear Blue makes it possible to monitor and control systems from anywhere.